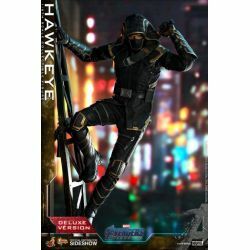 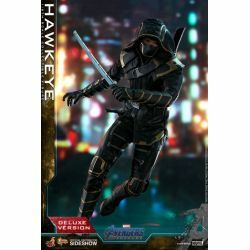 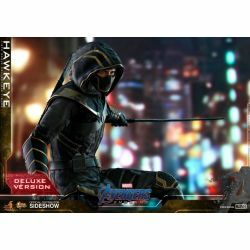 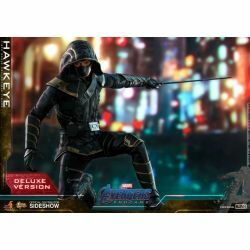 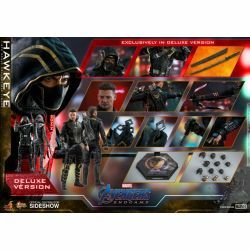 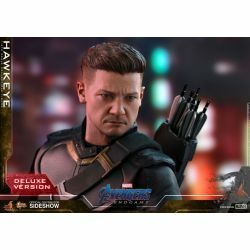 Hawkeye Ronin Deluxe Hot Toys MMS532 : sixth scale Hot Toys collectible action figure of Hawkeye as Ronin in the Marvel Comics movie Avengers : Endgame. 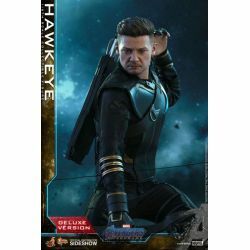 The fourth installment in the Avengers saga will be the culmination of 22 interconnected films and will draw audiences to witness the turning points of this epic journey. Our beloved heroes will truly understand how fragile this reality is, and the sacrifices that must be made to uphold it. 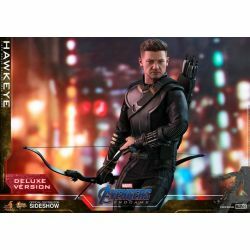 Being one of the founding members of the Avengers, Hawkeye showed a glaring absence from Avengers : Infinity War. 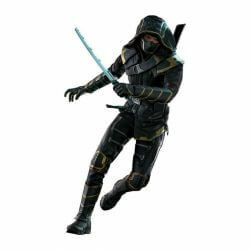 Returning to the silver screen this time with his primal weapons, the master marksman has to fight this war for lives. 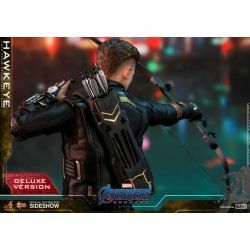 Hot Toys is very excited to present fans with the latest 1/6th scale Hawkeye collectible figure (Deluxe Version) taken direct inspiration from the movie. 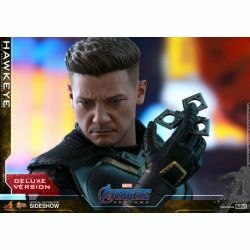 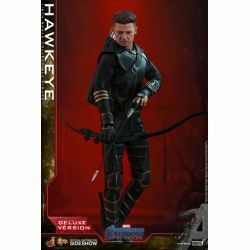 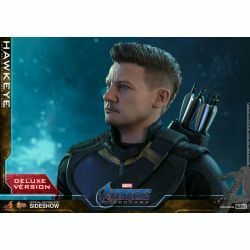 Meticulously crafted based on the image of Jeremy Renner as Hawkeye/Clint Barton in Avengers : Endgame, the screen-accurate collectible figure features a newly developed head sculpt with remarkable likeness, finely elaborated outfit, his signature bow and arrows, a dagger, a number of shurikens and a specially designed movie-themed figure stand. 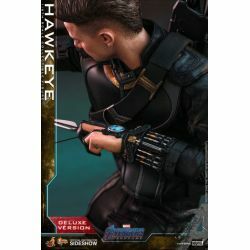 The biggest highlight of this Deluxe Version is none other than the fact that Hawkeye’s Alternate Version outfit is skillfully translated on a 1/6th scale collectible figure and exclusively include an array of interchangeable parts such as a newly developed masked head sculpt, vest, arm guards, katana with sheath and a number of gloved hands for fans to display the figure in variety of action poses ! 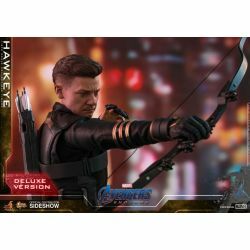 Team up with Earth’s Mightiest Heroes with this new Hawkeye figure inspired by Marvel Studios’ Avengers : Endgame !